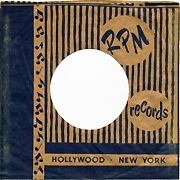 RPM - Dark blue ink on brown sleeve. Scarce! 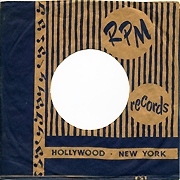 Mid 1950's 10-20 Same style as their 78 rpm sleeves. Also see Flair, Modern.